Its not too often my small town ends up on the national and international news, but I can guarantee that when it happens its never for anything positive. You can read about our claim to fame with the US News and Time lets not forget about the BBC. Basically, our county clerk is refusing to issue marriage licenses. She's now being sued by 4 couples some straight and some gay. I think people have the right to believe whatever they want. If she doesn't want to issue licenses herself, then she should appoint a staff person to do it for her. Obviously by not issuing anything she is failing to do part of her job description. Which is a bad thing. I know I can't just decide to stop doing part of my job and still expect to have a job. I would assume that is the case with all jobs. When your beliefs conflict with your job I think you need to ask yourself is this a job I really should be doing? If you can't do your job and sleep peacefully at night its time to walk away. I am pro marriage. I've had two myself. I think everyone should get to have a wedding. Especially my daughter. I have never mentioned that on the blog before, because I never felt it was my place to out her. But, I asked her blessing and she responded with "Of all the things you say about me, you've never told people that I'm gay?" Oops....Lets fix that. My daughter has a girlfriend. Her girlfriend is a sweety and I think the world of her. I jokingly say its my fault for never showing my kids a normal, healthy relationship. She denies this. I just want her to have the wedding of her dream, whatever that looks like. I didn't protest or campaign for the laws to be changed, but I am excited for her that they have. I can say with almost complete certainty that I will never marry a woman, but I like having options. We're not going to marry each other either, but it's nice to know we could if we really wanted to. Kudos to you for being such a cool mom. When it comes to sexuality, it should be an afterthought that's not loudly advertised. I don't walk around and say, "Oh hey. Nice to meet you. I'm straight. Just in case you were wondering." I did get a kick out of finding out that dear old Josh was one of the major organizers of the pro-marriage protest, down there. Told him I owe him the drink of his choice the next time I see him. I'm glad that he has been the spear head for it, it had the potential to end badly depending on the education/temper of the person in charge. I think Josh has done a great job. I can't help but remember when he was shorter than me and I called him dink. I saw a meme that said "I support Gay marriage or as I like to call it Marriage" My daughter laughs about it and everything becomes gay, "I'm eating my gay lunch now, I may take a gay nap later" I think I may start announcing myself as straight lol. You've never mentioned on here that Abbey is gay? I really thought you did. Maybe just because I follow her on Instagram. Her and Hannah are freaking adorable, I'm thrilled they can have the wedding of their dreams. That clerk has to get it together. You have a job to do, do it. I don't think I had. She and Hannah are a cute couple. Hannah is exactly the person I'd pick for Abbey. They are great together. I sent Hannah a message right after the verdict that said Congratulations on being able to marry my daughter, just don't do it anytime soon. I'm with you! 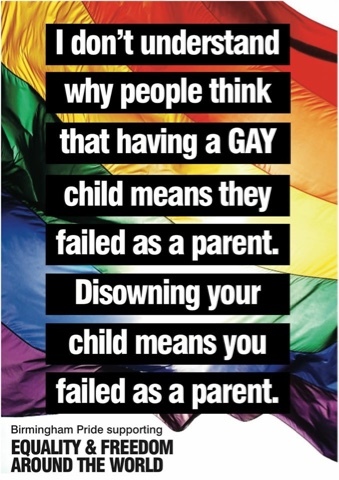 If one of my kids were gay, I wouldn't care. 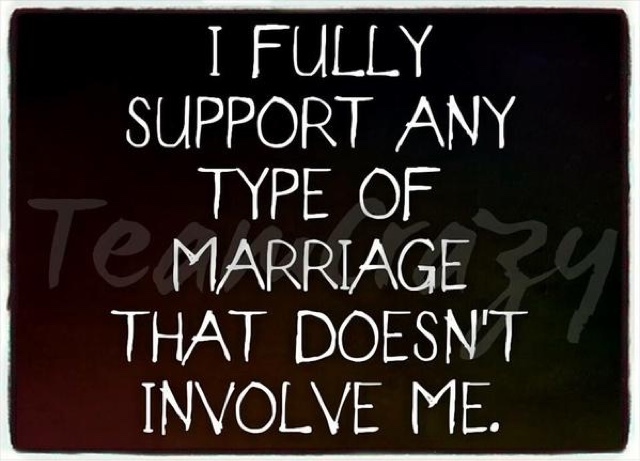 I am totally pro-marriage. As long as she is happy and the person treats her well, that's all I really care about.